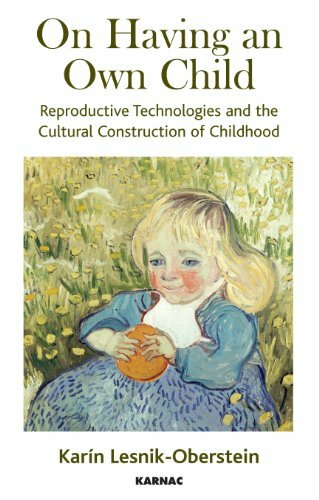 All of Karin Lesnik-Oberstein's academic research based on inter- and multi- disciplinary research has been on childhood as a cultural and historical construction. Her first monograph (published by the Clarendon Press of OUP in 1994) addressed this issue through the lens of children's literature studies. Subsequent work analyses childhood as an identity in fields ranging from psychology, anthropology, sociology, and history, to law and medicine. Her work on childhood is primarily based on approaches drawn from Freudian psychoanalytic thinking, through the particular use made of psychoanalysis in turn by thinkers such as Professor Jacqueline Rose and Erica Burman in literature and psychology respectively. Her edited volumes have drawn together fields in innovative ways and demonstrated how this kind of analysis of identity can illuminate thinking across a range of disciplines. That her approach is not limited to childhood as such, but extends to any thinking about identity and meaning is demonstrated also by her latest edited book on productions of gender and sexuality, The Last Taboo: Women and Body Hair (Manchester University Press, 2007). How are ideas of genetics, 'blood', the family, and relatedness created and consumed?